According to a recent company announcement, McFarlane Toys has been selected to produce the action figures, accessories, and role-play weapons for Star Trek: Discovery and other Star Trek properties. So what can we expect that to look like? The toy company has plans to start with 7-inch action figures of the iconic Captains Kirk and Picard, packaged with phasers, communicators, and other away mission essentials. Current plans are to sell these figures in window-box packages that are likely similar in style to McFarlane’s current Walking Dead Color Tops figures. McFarlane stated that fans can expect to see these toys hit shelves in spring of 2018. I’ve written about action figures, and specifically Star Trek action figures, extensively, and it is from that place of experience that I share Ms. Hart’s enthusiasm. While I think Art Asylum’s waves of Trek figures produced after their acquisition by Diamond Select Toys will be hard to beat, McFarlane has a number of well-articulated, finely-detailed toys in its history that I hope will inform their upcoming, and hopefully long-lasting, line of Star Trek products. 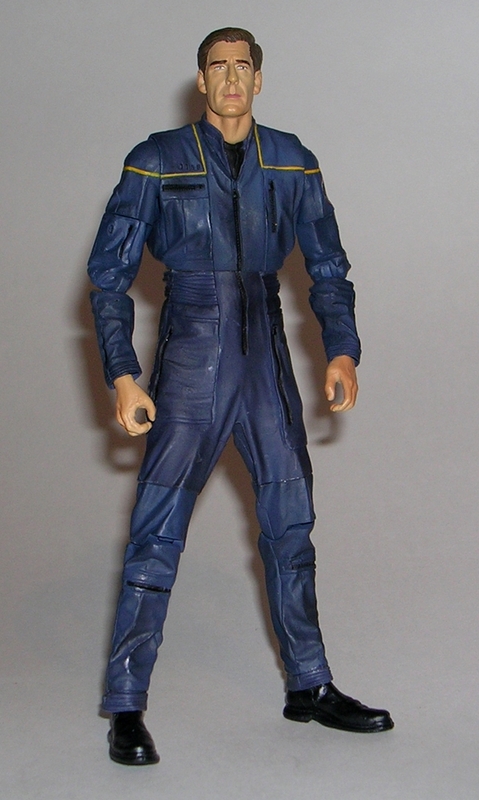 Art Asylum’s Star Trek figures were highly-detailed and well-articulated, even though their first wave of Enterprise figures featured a weird vinyl “uniform” covering over the hip and waist joints. This section was subject to discoloration as the figures aged. McFarlane Toys was founded in 1994 by comics creator Todd McFarlane after his feud with Mattel over the quality of the action figures that would represent Mr. McFarlane’s characters. The company’s first action figure line was for McFarlane’s own Spawn series. Toys stood roughly 7 inches tall, came with myriad accessories, and featured detailed paint applications. McFarlane would refine its action figure molds and detailing further to create incredibly life-like versions of famous singers, sports stars, and horror movie characters. With its Walking Dead license, McFarlane crafted numerous waves of 5-inch, highly-articulated action figures that very keenly resembled most if not all of the show’s cast. It is this legacy that gives me hope for the incoming McFarlane Star Trek figures. My only point of concern is the scale. 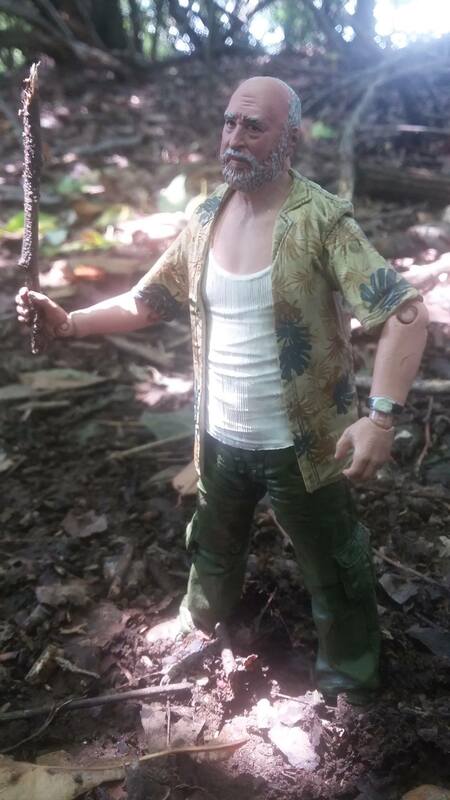 There is nothing unusual about a 7-inch action figure; however, McFarlane’s Walking Dead Color Tops figures stand about that tall and have what I consider a flaw. While the detail and paint applications live up to McFarlane’s reputation, the figures’ articulation does not. Lack of joints on the figures’ hips, shoulders, and necks means less movability and less play value. The items do function beautifully as statue-like objects, but aren’t great action figures. It’s possible that McFarlane heard fan outcry about this articulation issue because they have announced that they will increase articulation in future Color Tops figures. In McFarlane’s statement about their Star Trek figures, they made clear that fans can expect “highly-articulated” figures. Let’s hope that this means they learned from Color Tops. Finally, of concern in any toy line should be its representation of its source material’s characters. Too often, female characters and characters of color are omitted from waves of toys due to fears that those figures won’t sell well. (Recent data actually refutes this assumption.) Even my beloved Art Asylum omitted Hoshi Sato from its first wave of Enterprise figures, an irredeemable failure of that line. Star Trek: Discovery seems like a show rooted in women and characters of color, and McFarlane has a good track record of manufacturing female and minority characters for its Walking Dead 5-inch line. Therefore, McFarlane should also be a good fit for Discovery’s diversity, despite its initial, commercially-safe offering of the two main, white, male Enterprise captains. With any luck, Star Trek: Discovery will literally change the face of the Star Trek legacy by giving strong voices to a new, three-dimensional, diverse crew. If so, I hope McFarlane brings miniature versions of those characters into the living rooms of girls, boys, women, men, and those who are non-gender binary so that all fans can have their own plastic avatar for play in this bold, new universe.